Four months after the collapse of the Taliban regime, a handful of women journalists, trained by Aina and supported by UNESCO, were the first and only voice to speak up for the silenced majority of Afghan women. 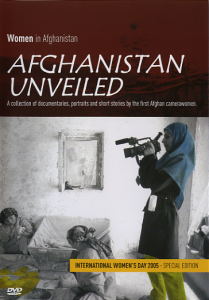 Now at the forefront of the women’s movement, those brave and brilliant journalists work in Kabul or in Europe, in media or international organisations, and travel the world to their stories. 4 portraits of 13 minutes each: Zakia Zaki, Anis & Simin, Malalai Joya and Massouda Jalal. 4 short stories, about 4 minutes each. The video presented here, “Solidarity Bakery”, is one of these stories. Shakeba Adill, Marie Ayubi, Mehria Azizi, Jamila Emaml, Hatima Hussiani and Gul Makai Ranjba.